The Fairhaven Animal Control Officer Terry Cripps, took to Facebook to urge residents not to remove animals they see unaccompanied. A dog named Mia was taken by a passerby and was kept from her owners for more than a day, even though she was only a few doors away from her home and her owners were looking for her. The ordeal could have been avoided had the person who spotted the dog simply called the police or the ACO and wait for him to arrive. Instead, Mia spent a night in an unfamiliar home and her owners were worried about her for a lot longer than necessary. Mia is a 10-year-old dog with very specific needs and diet. “If you ever find a dog in the community, please do not remove them from where they are!” wrote Mr. Cripps. “Please call Animal Control or the Police Department. Mass General Laws require individuals who find a dog to contact the PD or Animal Control within 48 hours. “More often than not dogs are close to their home when out. In Mia’s case she was just a few houses away from home and her family was looking for her, and could be with her family now! “This happens all the time! Please do not take animals. Please do not take dogs — please call the authorities if you are concerned about a loose animal. 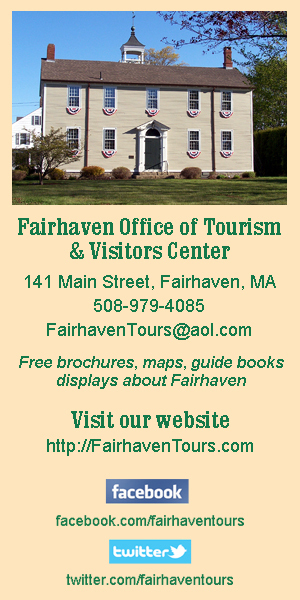 To contact Fairhaven Animal Control, call 508-979-4028; for Fairhaven PD, call 508-997-7421. “You may not keep loose animals,” added Mr. Cripps in an update on the Facebook post.